Many people see a wedding as a formal occasion. The black suit comes out - dozens of shops are searched for the right dress shirt, followed by an obligatory visit to a barber shop. And that's just a beginning. Finding a tailor and deciding on the shoes and accessories are also on a groom's to-do list. This scenario might be viewed as standard procedure for hundreds of husbands-to-be but actually, it turns a focus away from the more important aspects. A wedding is not a formal but a festive occasion. A business meeting, for example, requires a certain dress code: usually a black or dark blue suit, a white dress shirt and, of course, a tie. On the other hand, a wedding is the time to show one's personality. For this reason, a modern groom decides on a more extravagant and luxurious suit and bow tie instead of the conventional one. 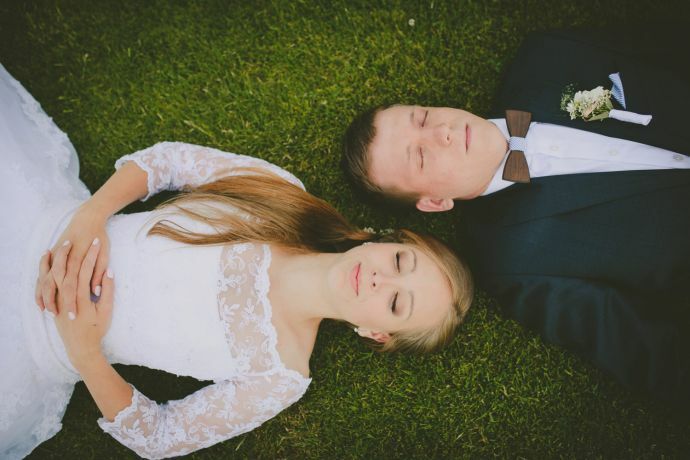 If these two elements are combined together the right way, the groom is no longer seen as an add-on to the bride. Luckily, bow ties are becoming more popular. Their original look and their variety of colors, themes and materials offer endless possibilities in combination with any dress shirt. Other various accessories can also be added to form a perfect picture of a well-dressed groom. Let's review some of the most popular options. The right dress and accessories for a bride stand at the forefront of wedding outfits and therefore a groom should adjust his aesthetic choices accordingly. The best way to do so is to set a subtle and elegant statement or to match the same details with the theme of the wedding. Usually, in summer grooms prefer to go with brighter colors and bigger accessories. Mainly, accessories are a symbol of extravagance and should underline the importance of the event. As stated previously, a modern groom often decides on a bow tie and not a (boring) traditional tie. 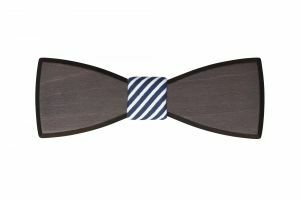 If a groom wants to go with modern trends in fashion, he may choose a wooden bow tie. It gives his outfit a personal note and emphasize his individuality. BeWooden bow ties are 100% handmade in our manufacturing location in Prague and coated with environmentally friendly coatings. 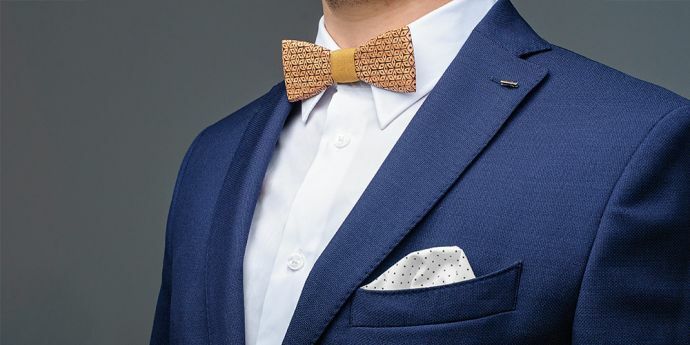 However, traditional bow ties which are made from textiles can create a perfect picture. If you choose one of these, it's important to know how to tie them properly. 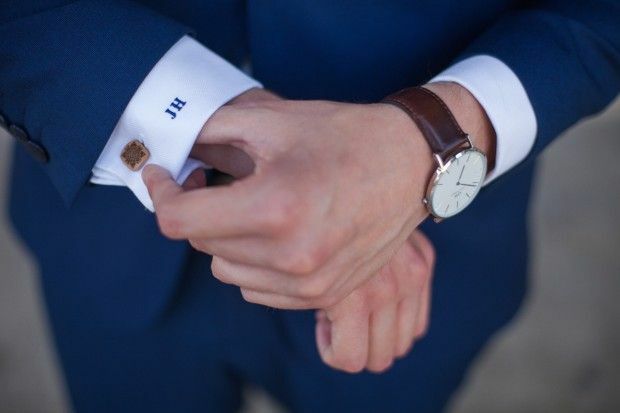 A pair of quality cufflinks is another invaluable accessory for the modern groom. They are traditional and never go out of fashion, though their look changes with contemporary trends. If you enjoy a classical option, then you definitely should choose cufflinks made from metals like silver and with our favorite minimalistic look. 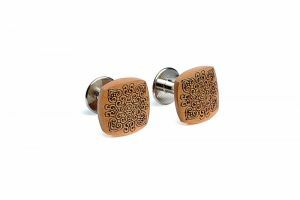 BeWooden cufflinks are always something special and perfectly suit our wooden bow ties. They are available in a variety of colors, thanks to the textiles in the middle. Their look is eye-catching due to the individual patterns which are added to the wood using a special laser technique. While their look and shape are unique, they are still light and comfortable to wear. Lastly, to make your wedding outfit perfect, we recommend to choose a handkerchief to put in the pocket of your suit. Though the classic use of a pocket handkerchief may, to some, seem out-dated, the styles of the hard-boiled generation is becoming more and more popular, and nothing says style like a well-folded pocket square. The patterns and colors are dependent on the overall color scheme of the wedding and the rest of your outfit but don't feel restricted by this; there are plenty of options and in modern trends, only the sky is the limit. In summary, a modern groom doesn't need to be pushed off to the side completely as in traditional ceremonies. Stand out from the boring wedding photos of the past and throw a splash of color and style into your outfit. 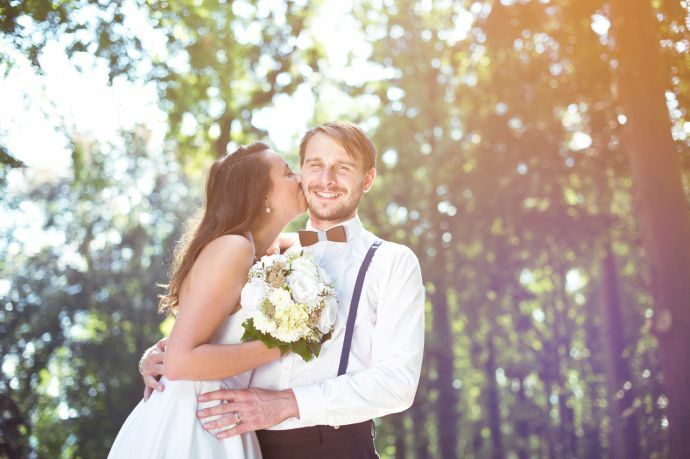 A colorful bow-tie and pocket square paired with cufflinks and eyes full of love to his bride transform boring black and white into the full-color of modern day.